Orange UK have gained exclusivity over this gadget and will be launching it at their Bond Street Station store in London on the 27th August. Sounds exciting right with a phone on your watch? Orange are now promoting the GD910 as a ‘handmade’ luxury gadget and will be making it available for a limited time only - although they don’t state just how long this ‘limited time’ will be. 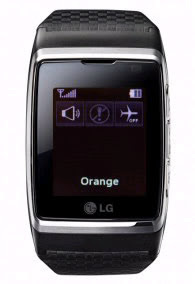 But we all know the drawback with luxury gadgets, they wear a luxury price tag, and the watch phone is no exception. It’s going to cost £500! Pretty pricey from my standpoint. You can probably buy one with alot more feature from China for alot less.